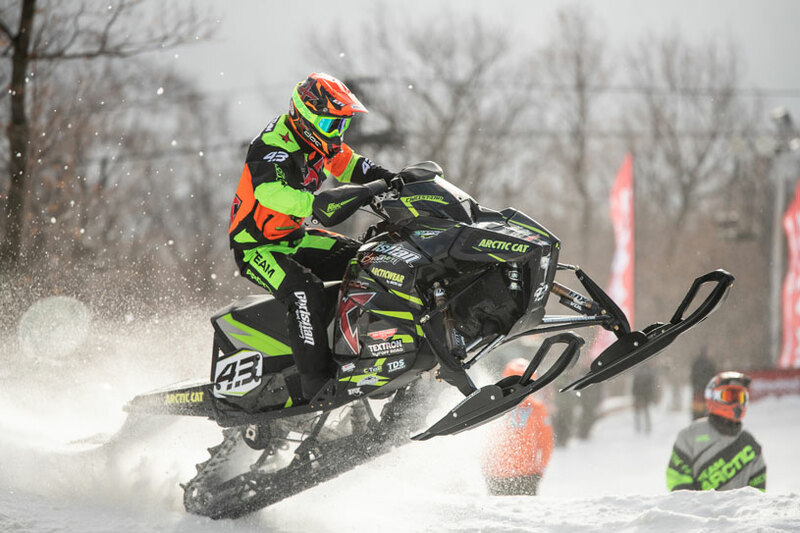 Fertile, MN (November 28, 2018) - What began as a mild, wet race weekend on Friday, turned into one that was cold and not-so-kind to the Christian Brothers Racing snocross team the following two days. 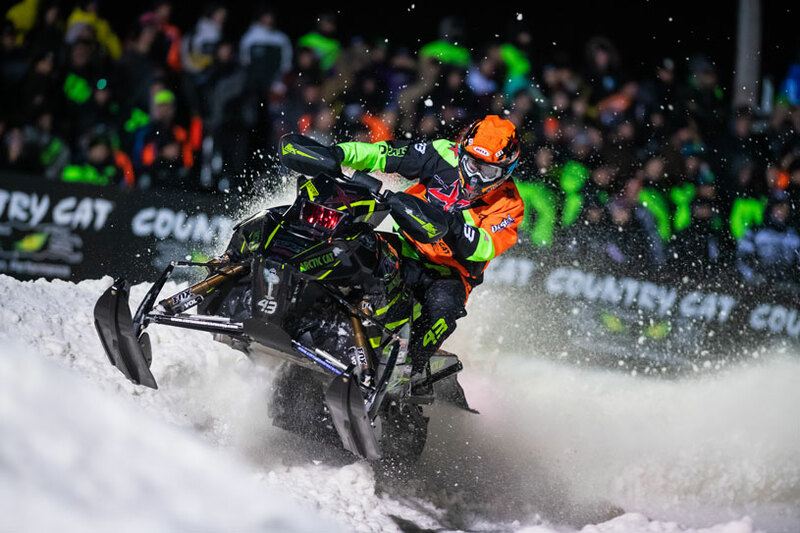 Recognized as the unofficial start of the snowmobile racing season, the Duluth National Snocross took place this past November 23-25, at Spirit Mountain in Duluth, Minnesota. 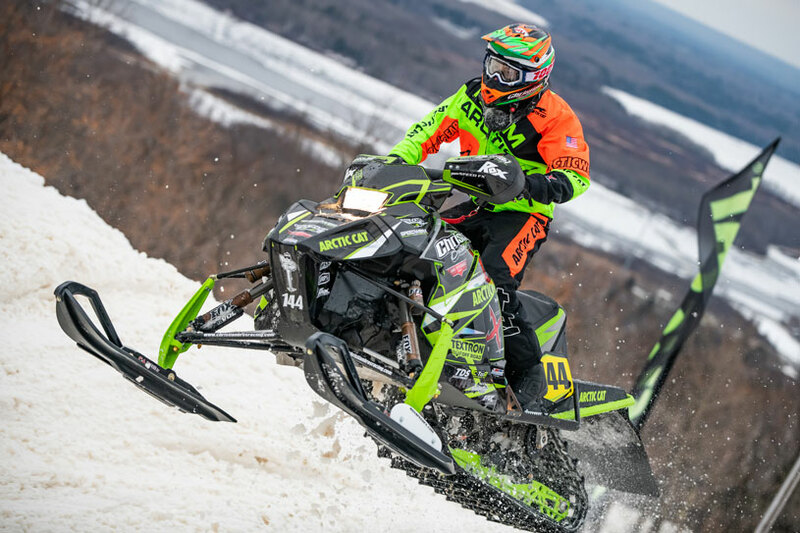 With new Arctic Cat snowmobiles and a new season ahead of them, CBR riders Logan Christian, Jacob Yurk and Anson Scheele were looking forward to getting off the team's Fertile, Minnesota test track and in front of the throng of snocross fans packing the post-Thanksgiving event. But a challenging track and an unforgiving downhill dogleg turn had other plans for the team. Christian is competing in a Pro class littered with young talent as well as returning veterans such as himself. His Duluth started with a Top 10 finish on Saturday before his luck slowed on Sunday when he failed to qualify for the Pro final. All weekend it seemed like if there was a bad break in the Pro class Christian was somehow caught up in it. "Duluth was a tough way to start the season," said Christian. "I've dug us into a hole that's going to be tough to come back from. But we've come back before, and my crew and I look at this as motivation to win every time we get on the track." Yurk returns to the Pro Lite class after narrowly missing the points championship last season. Talent runs deep in Pro Lite, perhaps the most competitive class on the circuit, making Yurk's season task a tough one. At Duluth, Yurk recovered from a DNF in the LCQ on Saturday to post a 5th place finish in Sunday's final. "We had some bad luck on Saturday night which kept us out of the final," Yurk said. "Things went much better Sunday and we got a 5th place finish. We?re definitely not where we want to be, but we improved over the weekend. If we keep working we know results will come." Scheele has bumped up to the Sport class for 2018-2019, letting go of his Junior class duties where he was dominant last season. The up-and-comer finished 10th in Friday's Sport final, then suffered a DNF in his first heat on Saturday, a point deficit he was not able to recover in the crowded class. 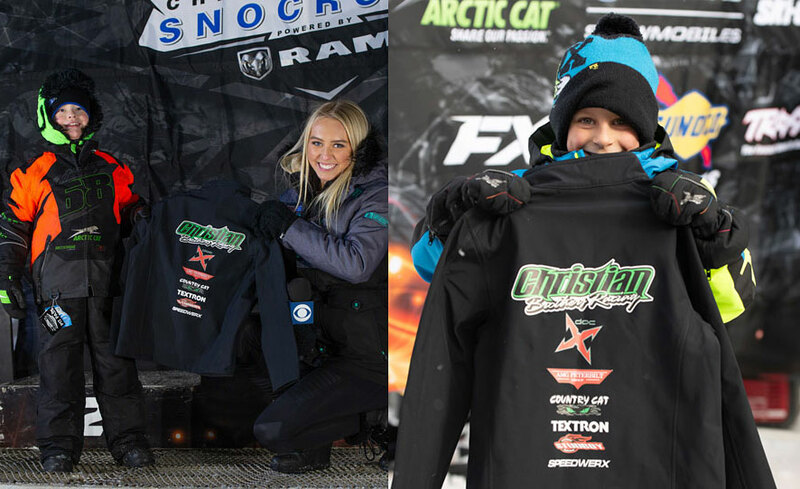 Christian Brothers Racing gave away a CBR Team Jacket on Saturday and Sunday to two lucky youths. Winners were drawn randomly from the Arctic Cat ZR 200 snowmobile entries. 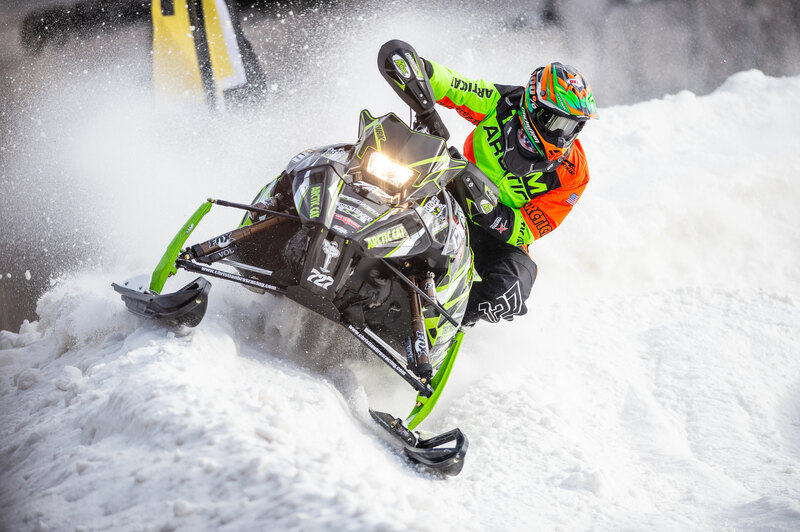 In addition to the jackets at every event, race fans also have the chance to enter to win an Arctic Cat ZR 200 snowmobile. The giveaway is open to fans 12 years old and younger and they must be signed up by a legal parent or guardian. Only one entry will be allowed for each eligible fan per event. The winner will be drawn Saturday, March 16, 2019 at the ACS Lake Geneva Grand Finale in Lake Geneva, Wisconsin and need not be present to win.